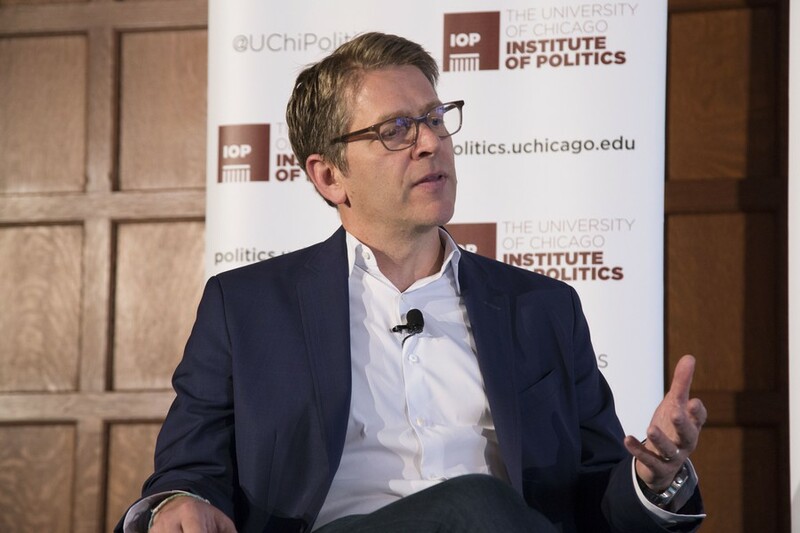 Former White House Press Secretary Jay Carney Speaks at the IOP on Monday. Former White House Press Secretary Jay Carney described his views on President Donald Trump’s use of social media to issue major announcements on Monday at an Institute of Politics (IOP) event. Carney spoke about the relationship between the White House and the press. Former IOP Executive Director Steve Edwards moderated the event, which was held at the Quadrangle Club. During the talk, Carney discussed the role of honesty in his work. He claimed that he was never asked to lie while working for the White House, and that he believes it is the press secretary's job to tell the truth. He also noted the delicate balance between maintaining transparency and protecting classified information. Carney argued that staying honest is not a display of moral superiority, but a safeguard of the White House’s credibility among the public: “Everything you say is gonna be scrutinized, so make sure everything you say is right and don’t fake." Carney said remaining truthful was sometimes hard, because he didn't always have the truth at hand. “The hardest days were those where there wasn’t a dominant storyline, because you had to kind of prepare for everything, all random subjects that may come up,” Carney said. As a former political journalist for Time magazine, Carney said he found the transition to working as press secretary from being a journalist harder than expected. He argued that speaking with reporters was different from speaking as one, because every word he said was subject to many possible interpretations—so he had to be much more careful. “One thing I learned in retrospect was how I could have been a better reporter,” he said. “The next Watergate or the next Iran-Contra doesn’t happen on a weekly basis.” Carney later said he found it frustrating when the press attempted to manufacture scandals when there were none. The conversation then segued into a discussion about a likely scandal troubling the current White House—regarding Russia’s role in the 2016 U.S. presidential election. Carney claimed the Russian interference during the 2016 presidential election was a part of Vladimir Putin’s strategy to exploit Russian resentment toward the West’s liberal-democratic order in order to hone his popularity at home. He expressed doubts that Obama could have done anything to forestall the Russian interference, apart from than making sure Congress leaders stayed informed. According to Carney, opposition from the Republicans played a major role in making any preventive plan possible. “Ultimately Senator [Mitch] McConnell and other Republican leaders made the decision to be dismissive of the plan, and I think that was unfortunate,” he said.